or memory of George on it by the person donating the money. 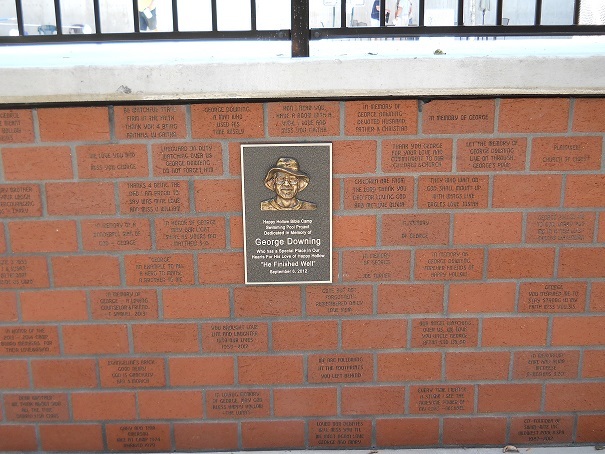 themselves, whoever is designated by the scholarship will be given the chance to leave their message on the brick. The bricks will be placed on the outer wall of the new pool to be built at HHBC in George’s memory. Water Mill Church of Christ. He served as a boys counselor during the last 12 years of his life. He encouraged us all to live closer to God. George had an urgency to share God’s message of love to whoevers heart was hurting. 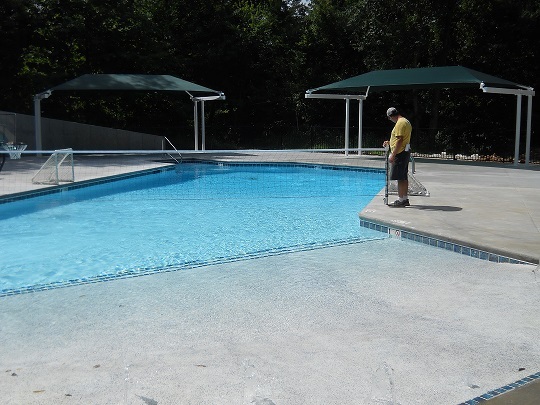 The new Happy Hollow Swimming pool is done ! Thank you to everyone who gave their time talents and funds. It’s not too late to buy a brick for the wall. Each year any new bricks will be installed in the spring. 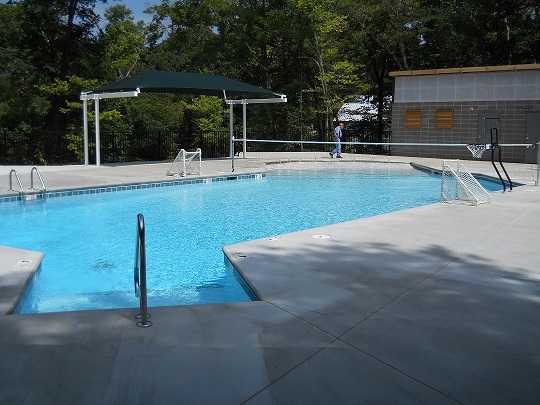 Funds raised will go for pool maintenance or toward new cabins, storm shelters etc.